Crispy and delicious in flavour, No preservatives or artificial flavours added, Zero Cholesterol, Suitable for Vegetarians. Soya Sticks are lime and chili flavored snacks made from soya beans! 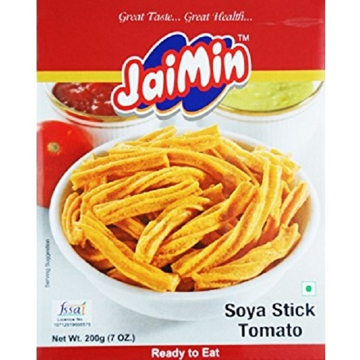 Soya Sticks are the most loved snacks for kids. Adults too can indulge in its great taste. Please note: Your coupon expires in 15 days.